An interesting article about Blockchain. Bitcoin and Blockchain are still not very common in Brazil. But there is vibrant group of supporters of the technology here, and they have been publishing a lot of content. plans actually to come to life? is mostly just plans for now. government ever by 2020. Too good to be true? The prospect seems real enough to believe it actually has a chance to be implemented. At least, many of the world leading experts think so. Brazilian Law provides for wide array of guarantees and securities. Herein below, you will find a brief explanation of the main varieties. The endorsement is a personal guarantee of the payment of an instrument of credit. Under the endorsement, the guarantor promises to pay the debt in the event the borrower fails to do so. The creditor becomes invested in the power of collecting the debt from the guarantor or the borrower as soon as the instrument of credit becomes due. The endorsement is a type of guarantee mainly used in instruments of credit (on the back of note, for example; or a personal endorsement made by the director of a firm). It is a very commong guarantee. It is a written obligation. It is a contract whereby the surety guarantees the fulfillment of the obligation of the debtor in the event the latter fails to do so. It also guarantees the payment of compensation or penalty for non-fulfillment of an obligation undertaken by the debtor. The surety may be granted by individuals or legal entities, including banks, whereby the debtor hires a financial institution to act as guarantor of an obligation. It is very common in rental agreements and in some kinds of loans. It is a Marketable title. It consists of a payment order by means of which an individual demands that another individual pays a certain amount to a third party. It comprises details such as payment, date and place to perform it. This is the same Bill of Exchange used in the US and in Europe. However, in Brazil its use is very limited. Only markets where the players are used to it actually use it. Most people will prefer a Promissory Note (see below). An instrument of credit represented by an unconditional promise in writing between two parties, signed by one who agrees to pay on a certain date a certain sum of money to the other or the bearer of the promissory note. The promissory note is more widely used in Brazil, in comparison with the Bill of Exchange. Commercial pledge is to have a commercial good ensuring the fulfillment of an obligation. It becomes valid with the transference of possession of the property of the good by the debtor to the creditor. The pledge shall be in written form and is usually registered before the Registry of Deeds and Documents. This is not too common. Derived from the commercial pledge, the security deposit of instruments of credit is a guarantee established over credits held by the guarantor. In the security deposit, the object of the guarantee is the right of the guarantor represented by a negotiable instrument. Therefore, the need to guarantee demands the delivery of the instrument to the creditor, by means of an agreement executed between the parties. Through the security deposit agreement, the creditor becomes able to exercise all the rights to the instrument of credit, but always on behalf of the debtor, ie, there is no transfer of the property of the instrument of credit. This is a common kind of guarantee, since it is easy to manage. The trust receipt operates by means of the transfer of ownership of a certain good to the creditor in order to secure the fulfillment of an obligation of the debtor, who maintains the direct ownership of the good, as depositary. In this type of guarantee, if the debtor fails to settle the obligation at the due date, then the creditor may require action of search and seizure of the sold good, and after taking possession of such good, it may sell it to a third party and settle the outstanding debt. This is more commonly used by banks, in lease and financing agreements. The antichresis grants the creditor the right of receiving the real property from the debtor and also the right to earn profits from such real property for the term the contract is in force. A debt instrument, secured by the collateral of specified real estate property, that the borrower is obliged to pay back with a predetermined set of payments. Under Brazilian Law, mortgages must be registered before the Real State Registry. In the event the debtor fails to provide payment in the due date, the rights of ownership and possession over the real property are transferred to the creditor. This is fairly used, especially in the financing of real estate. Foi publicado hoje. Chamou minha atenção. D9055: "Tratado de Extradição entre a República Federativa do Brasil e a República da Índia"
As Partes extraditarão qualquer pessoa que se encontre em seus respectivos territórios, contra quem exista um mandado de prisão, expedido por juiz competente, por um crime extraditável, ou que tenha sido condenada por crime extraditável no território da outra Parte, nos termos deste Tratado, tendo sido o crime cometido antes ou depois da entrada em vigor deste Tratado. 1. Um crime será extraditável se, de acordo com as legislações de ambas as Partes, for punível com privação de liberdade ou prisão por um período de pelo menos um ano, ou com pena mais severa. 2. Se a extradição for solicitada para o cumprimento de sentença imposta na Parte Requerente, a duração do que resta a cumprir da sentença deverá ser de pelo menos um ano. 3. Um crime também será considerado extraditável se envolver tentativa ou associação para cometer, ajudar ou incitar a cometer crime, ou cumplicidade anterior ou posterior ao crime descrito no parágrafo 1.
b) independentemente de a legislação da Parte Requerente classificar o crime na mesma categoria ou descrevê-lo com igual terminologia. 5. Se a extradição foi concedida para um crime extraditável, também o será para qualquer outro crime especificado no pedido, mesmo que a pena para esse tenha duração menor que um ano de privação de liberdade ou prisão, desde que todas as outras condições para a extradição sejam cumpridas. De acordo com o presente Tratado, poderá ser concedida a extradição para crime extraditável ainda que a conduta, parcial ou integral, da pessoa procurada tenha ocorrido na Parte Requerida, e se, de acordo com as leis desta Parte, a referida conduta e seus efeitos ou seus efeitos intencionais, como um todo, forem considerados cometimento de um crime extraditável no território da Parte Requerente. In order to incorporate a company in Brazil, the foreign investor must appoint a local representative who lives in Brazil. Traditionally, this representative was required to have powers to receive court summoning and to answer to any civil subpoenas directed at the foreign investor. 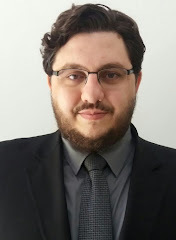 This makes sense under Brazilian procedural law, that puts a lot of focus on making sure that respondents will be properly summoned to present his defence in administrative or judicial procedures. Rulings “in absentia” are exceptional. By requesting the nomination of a Brazilian resident as representative of the investor, Brazilian authorities would always have someone close enough to be summoned by ordinary means (without the need for international communications between courts, etc.). This is the basic idea. Now, since Brazil is a very bureaucratic place, people soon noticed that is would be a waste of time to issue a one-line PoA, considering that several other actions also require a power of attorney. For example: registration of the investment before the Brazilian Central Bank, clearance of foreign currency exchange agreement, etc. Not to mention that any alteration to the articles of the company, such as increase in equity or appointment of new directors, would also require the investor to sign the documents himself, or to name a proper representative in Brazil with powers to do so. All things considered, a proper PoA would have 3 pages and a LOT of very specific powers. Now, this “excess” of powers has contributed to a problem. Brazilian courts started to consider that this all-powerful attorney would act, in practice, as a company director. Thus, labour and tax courts started to redirect debt collection suits to the Brazilian representative, whenever the company didn`t have enough assets to pay for the debts. This situation, albeit technically illegal, has persisted for some time. Recently, the Brazilian Revenue Service has tried to make the representative`s personal liability official. It issued an administrative ruling stating that any foreign company looking for enrolment before the national taxpayer`s registry (the famous CNPJ) must name a local representative with full powers to manage the investor`s assets in Brazil. By choosing these word, the Brazilian Revenue Service made clear that the local representative will be considered a kind of local manager, not only a representative able to receive summoning. Please notice that the enrolment with CNPJ is one of the first steps required in order to incorporate a new company in Brazil, in case the foreign investor is a corporate entity (not an individual). Therefore, there is no way around this requirement. And this is not the only recent change. The federal body responsible for standards in corporate regulation issued new guidelines in 2017. They include a provision requiring that all powers of attorney from foreign investors must not have a time limit. This is to say, they must be valid until a formal cancellation is filed before the Commercial Registry. c) Has power for an unlimited period of time, until he gives up the job or until his PoA is formally cancelled. The situation is awkward, to say the least. c) Restrictions on powers, to prevent the representative from “taking over” the company. So, there is little chance you will find a good template for a PoA, readily usable. 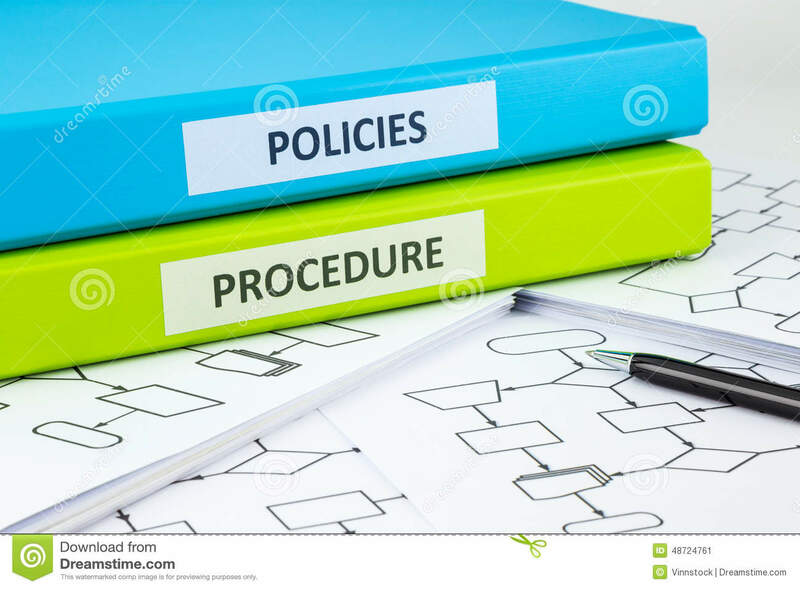 The PoA is now a document to be drafted as carefully as the articles of the association of the company. Branch or subsidiary in Brazil? Here is part of an email exchange with a potential client. We were discussing the differences between having a branch in Brazil or incorporation a new company, owned and controlled by a foreign entity. What is the procedure to create a branch. What has changed lately? ​The branch (filial) requires express approval by the Federal Government. This is not a new procedure. The approval has been required for decades. 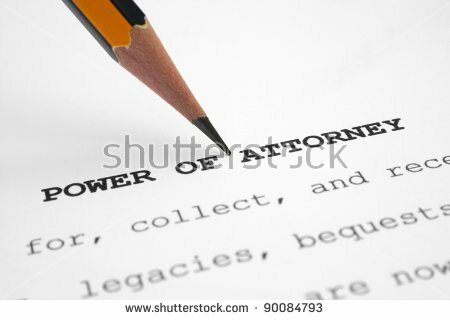 The changes in procedure are regarding the new model of power of attorney that must be used. But this is a relatively small change. How much time does the special approval take (on top of the usual time for incorporation of a new company)? How could a new company be controlled by a foreign investor? ​The procedures for incorporation of a new company with foreign partners are, broadly speaking, the same procedures required to open a regular Brazilian company, with Brazilian owners. Therefore, we will avoid the need for Federal approval, which is part of the process of creating a branch. The new company would be owned and controlled by the Swiss company. It would also need another partner, which can be another Swiss company, a Swiss investors or a Brazilian investor. Please notice that the new company may be 100% owned by Swiss investors. There is no need for a Brazilian partner. Is there any down side of using a subsidiary (new company) instead of a branch? Would it be legal for the investing company abroad and the new company in Brazil to conduct transactions and have financial ties? ​Yes. They would be subject to the exact same rules (transfer pricing rules, tax rules, etc.) that would apply over a transaction between an investing company and its branch in Brazil. How long does it take to open a new company?